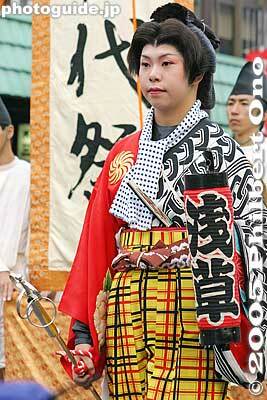 Tekomai geisha costume is partially masculine with trousers instead of skirts. Their right shoulder is "exposed" showing a flower design. They carry a red paper lantern imprinted with their names and use their right hand to drag a wand.